Posted on February 24, 2017 by D.J. 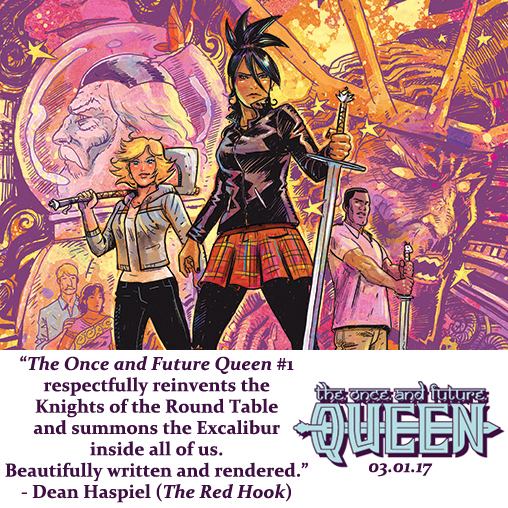 The Once and Future Queen #1 signing at Books with Pictures! Posted on February 22, 2017 by D.J. 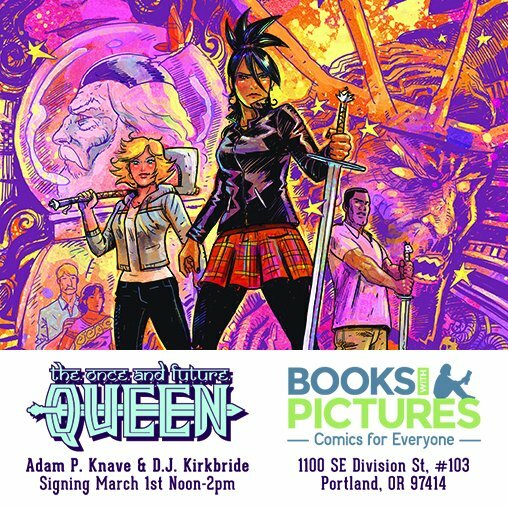 To celebrate the release of THE ONCE AND FUTURE QUEEN #1, Adam and I will will be at Books with Pictures in Portland, OR from noon to 2pm on March 1st. If you’re in the area, please stop by this excellent comic shop and get your comics scribbled on the Hall to my Oates and the Oates to his Hall!